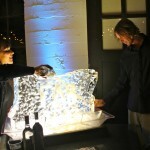 Good times were had at our Launch party on March 12th! Those of you who didn’t make it really missed out on an excellent evening filled with great entertainment, fantastic food and many interesting people. The party was a chance for us to say “hi” to our neighbors, “thank you” to our existing clients and friends and “nice to meet you” to anyone who might be a potentially new client. We started off the evening with a lovely jazz band playing in the background (www.michalangela.com) as people mingled and got comfortable with a glass of wine or a beer donated by our neighbors down at Buckman Village Brewery. 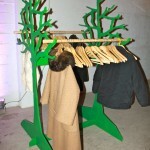 People stood around the bistro tables we built out of re-purposed steel and pine and hung their coats on the “Put a Bird on it” coat tree we made especially for the event. 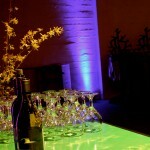 Drinks could be found behind the custom aluminum glowing bar we fashioned for the occasion and guests could watch the entertainment while sitting on several colorful benches we designed and built to show off our logo. If the Jazz and entertainment wasn’t enough, guests could play Play Station on the giant tv screen that folded out of the customized Oregon Ducks tailgating trailer we built for a client who LOVES the Ducks! 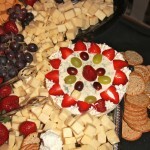 But of course, most people could be found grazing around the beautiful spread of food that was prepared by our caterer Josh. As the night progressed, there was special entertainment that emerged, including the “Loo Loos” (www.hooptomyloo.com/) a local hula hoop troop who added some real color to the event. 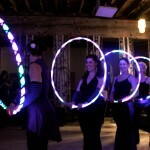 The lights in the building went down and the lights on LED hula hoops lit up and the ladies performed some impressive feats with their colorful rings of lights. 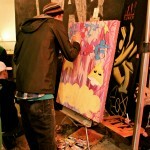 Also, the gentlemen who painted our exceptional mural outside our shop, had a live art show going on during the party. Guests could watch each paint stroke and see the blank canvas transform into a beautiful art piece. Throughout the night, people had the chance to purchase raffle tickets to win almost any of the items we built for the event. 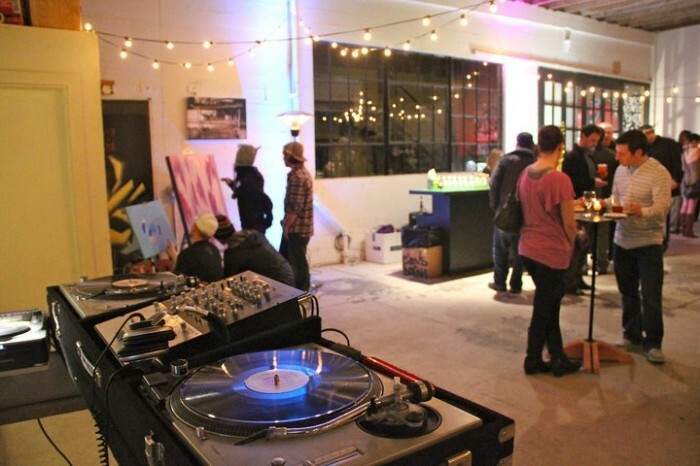 The items would be raffled off at 9:30, and you had to be present to win. The three colorful benches were the first to go, an art piece donated by our talented photographer Mercy Mcnab (www.mercymcnab.com) was the next item, followed by the coat rack and then a bistro table. Everyone was pleased with their winnings and hopefully have their new pieces displayed in their homes! 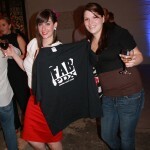 We felt bad for anyone who didn’t win, so we ended up handing out about 100 FAB PDX tee-shirts to other guests so they too could leave with something special. 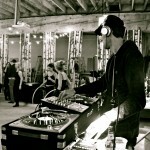 After the raffle our DJ, Jason Logue, brought the tunes and people laced up their dancin’ shoes and started to get their groove on. Before the night was over, there was an epic dance off. You can always tell it was a good party if it ends with a dance off. The only thing we overlooked was WATER! We forgot to provide water for our guests! LESSON LEARNED. The party would not have been possible without all of the wonderful help provided by Courtney and David Piper, Jamie Teasdale, Mercy Mcnab, Sara Reitz, Becky Kuhn, Alma Anaya, Liz Quintana, Dan Stutzman, Ellis and Sue Stutzman and many other friends who shared their time and talent to make our fabulous event possible. FAB PDX forever. Anyone ready to have another party??? This entry was written by brian, posted on March 20, 2011 at 5:02 pm, filed under News. Bookmark the permalink. Follow any comments here with the RSS feed for this post.